Showing results by narrator "Aist Saab"
Are YOU planning a trip to Lithuania? Are YOU Moving To Lithuania? Do YOU have Lithuanian Heritage? Be Honest how Cool would it be if YOU knew Lithuanian! Look it’s a fact if YOU know a bit of the local Language your trip will always be a more enriching experience! People will smile and be more cheerful if YOU took the time to learn their language. Don’t be your average tourist STAND OUT! Maybe YOU want, Impress a Beautiful Lithuanian women? At Project Fluency we believe that in order to communicate well you only need to know the basics of any Language well. 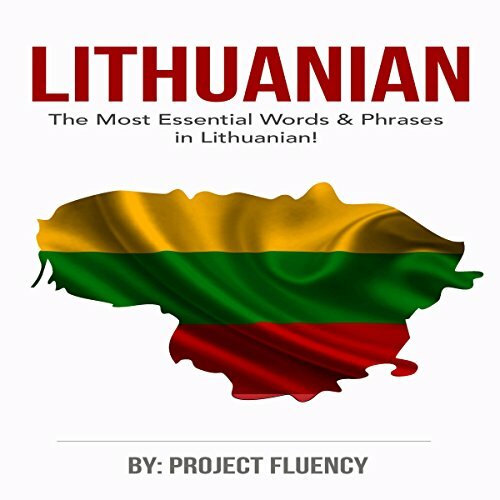 For this reason our EXPERT Linguist Team has researched the MOST USEFUL How to learn Lithuanian With both our Main Lithuanian in A Week Book, To get the Basics down fast and our phrases and words Book: including advanced memory Mnemonic tricks to help you remember the most Essential words. So don’t you don’t waste YOUR time and energy on things that just simply don’t work. At Project Fluency we believe that in order to communicate well, you only need to know the basics of any language. For this reason, our expert Linguist Team has researched the most useful Lithuanian phrases, grammar rules, and words. So don't you don't waste your time and energy on things that just simply don't work. 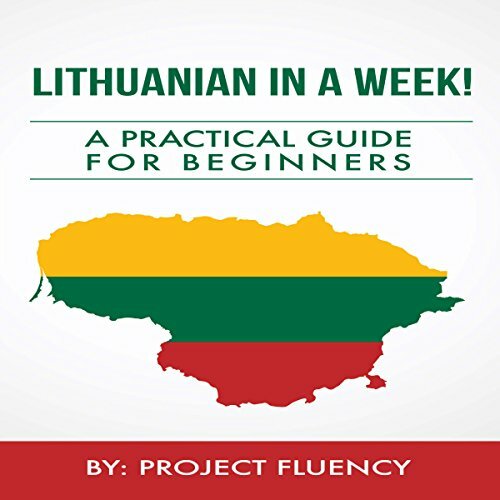 Lithuanian: Learn Lithuanian in a Week! The Most Essential Words & Phrases in Lithuanian! Are YOU planning a trip to Lithuania? Are YOU Moving to Lithuania ? Do YOU have Lithuanian Heritage? Be Honest how Cool would it be if YOU knew Lithuanian! Look it’s a fact if YOU know a bit of the local Language your trip will always be a more enriching experience! People will smile and be more cheerful if YOU took the time to learn their language. Don’t be your average tourist STAND OUT! Maybe YOU want, Impress a Beautiful Lithuanian women? At Project Fluency we believe that in order to communicate well you only need to know the basics of any Language well. For this reason our EXPERT Linguist Team has researched the MOST USEFUL Lithuanian phrases, grammar rules & words. So don’t you don’t waste YOUR time and energy on things that just simply don’t work.